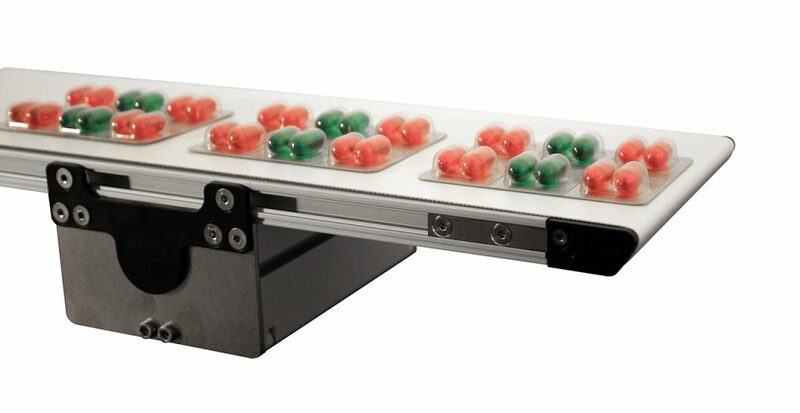 Quality control in the medical industry, made possible with Dorner conveyors. 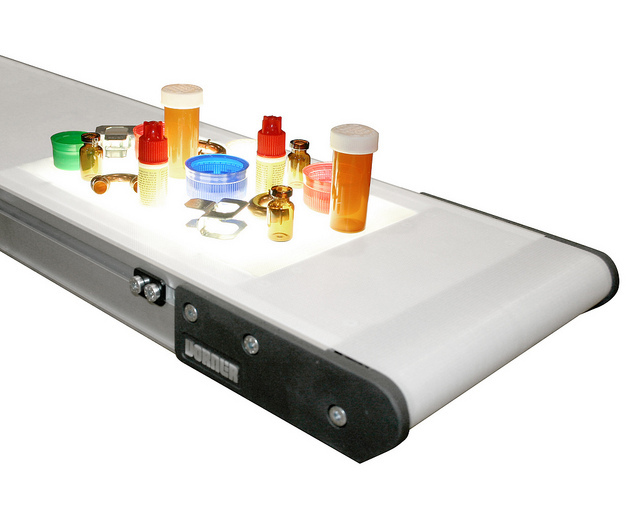 Back lighting can be added to a conveyor for quality control. 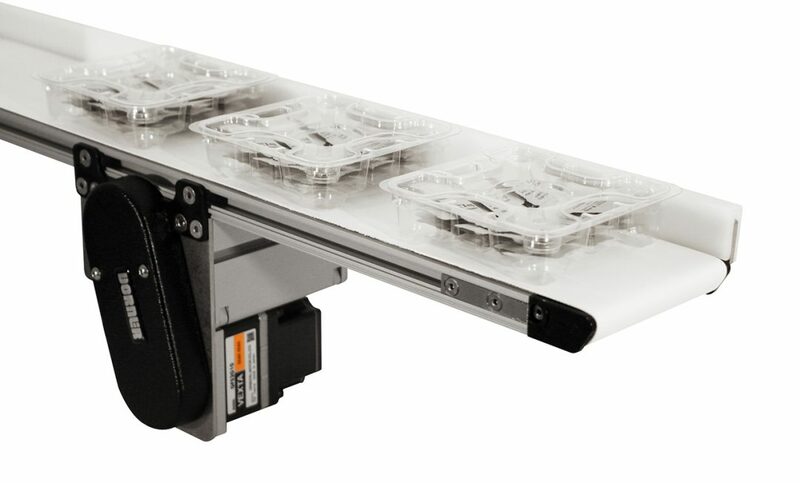 Low profile height and compact miniature design frees up valuable machine or worker space. 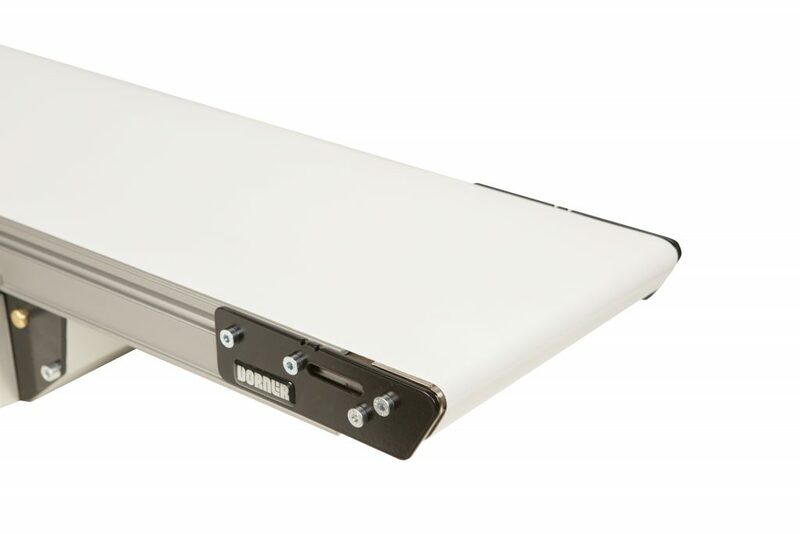 At Dorner, we have a range of conveyors that are cleanroom certified and built with FDA-approved materials. 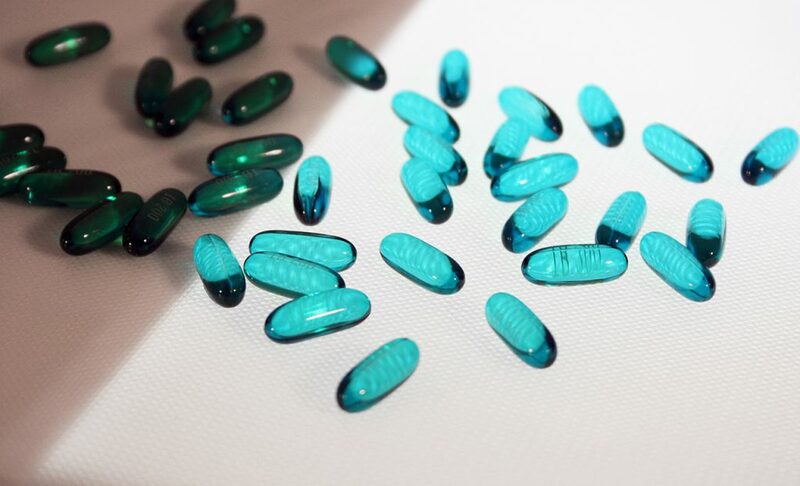 Many medical products are made from plastics that are injection molded, blow molded or thermally formed. Often these manufacturing processes require the product to change elevation from one machine to another. Dorner is the only company to offer an adjustable Z-framed conveyor to give you the flexibility to configure the conveyor to the height you need. 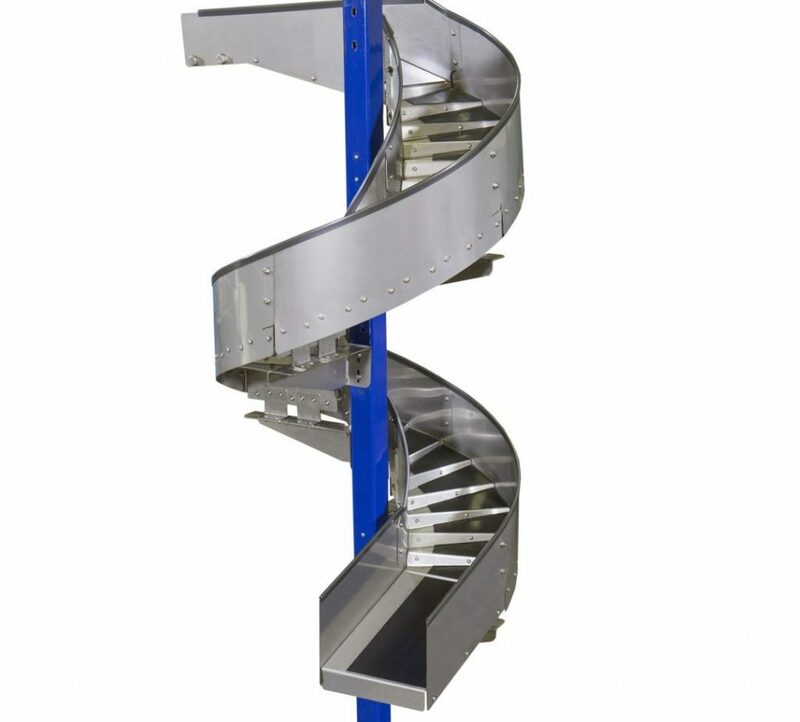 Using a Z-frame conveyor can help save your company money by reducing potential employee injury by bringing the product to a height that they can easily access and work on. 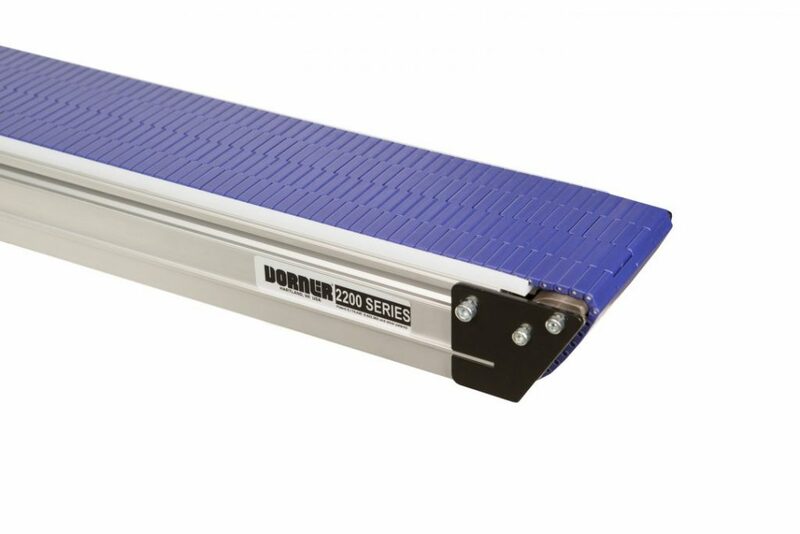 Whether you’re looking for a conveyor to transport sterile surgical instruments or boxing bandages, Dorner has a solution to fit your unique needs. 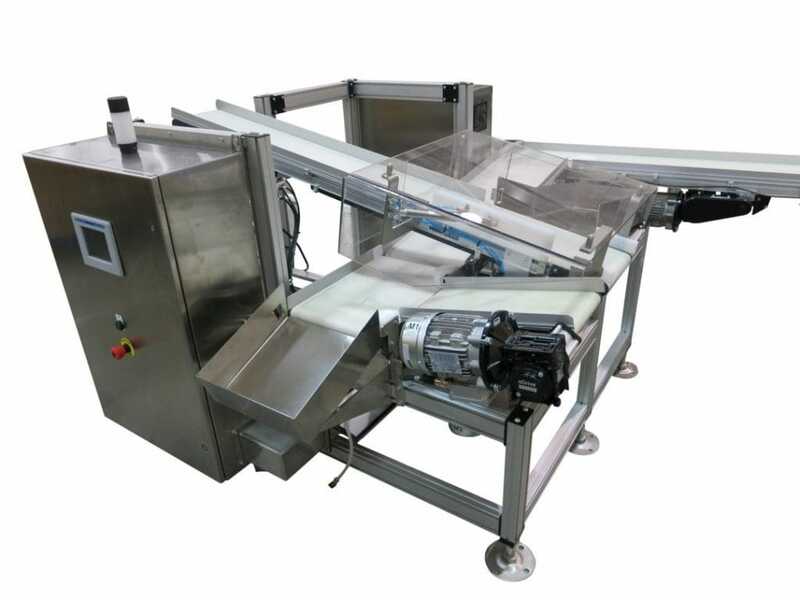 We offer complete lines of sanitary and aluminum frame conveyors with many customization options available.